Restore sheen on jewlery using household products. Trendy jewelry comes in all shapes, forms, sizes and materials. The good news is, you can typically find the perfect piece of costume jewelry to accompany every outfit in your closet, but the distressing news is your favorite pieces are still vulnerable to tarnish, resulting in dull-looking jewelry. With a few ordinary household items and well-planned flicks of your wrist, though, you can get rid of the tarnish and make any piece look new again. Cut a piece of aluminum foil large enough to fit over a small dish. Wrap the dish tightly in the foil to protect it. Boil 1 cup of water. Once the water reaches a rolling boil, add 1 tablespoon of baking soda. Wait for the baking soda to dissolve completely in the water. Place the tarnished jewelry in the covered dish and slowly pour the mixture over it. Let the jewelry sit in the mixture for one to two minutes. The tarnish should disappear, but if it does not, allow it to sit in the mixture for several more minutes before removing. Rinse the jewelery off in warm water, and dry completely. 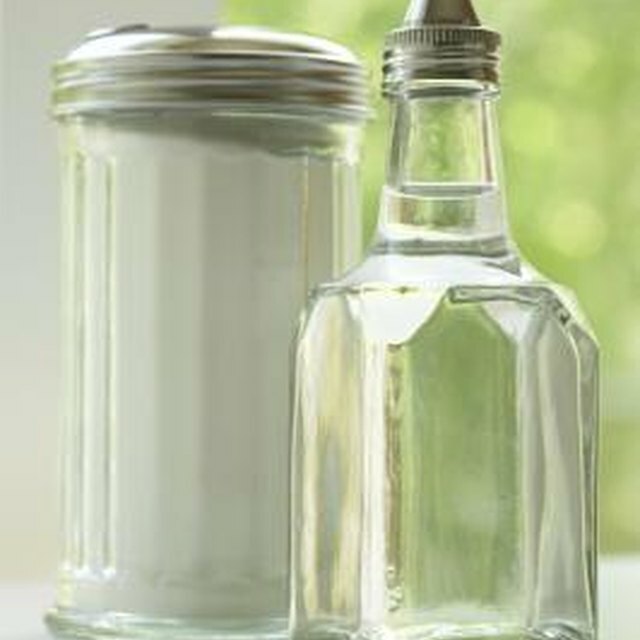 Pour 1/4 cup of distilled white vinegar in a shallow dish. Sprinkle table salt into the vinegar. This will cause a little bubbling. Immerse the jewelry into the container after observing the bubbling reaction to remove the tarnish. Allow the jewelry to sit in the mixture for a few minutes, or until the tarnish dissolves. Rinse the jewelry with warm water and dry completely before storing. Cut a lemon in half. Squeeze the juice into a bowl and save it for regular use. Rub the squeezed lemon over the tarnished jewelry repeatedly until the tarnish fades. You can also soak tarnished jewelry in lemon juice for several minutes, if desired. Rise the jewelry in warm water after the tarnish dissolves, and dry thoroughly with a clean cloth. Prevent oxidation by storing jewelry with a piece of chalk in a tightly sealed plastic bag. Replace the chalk each month. 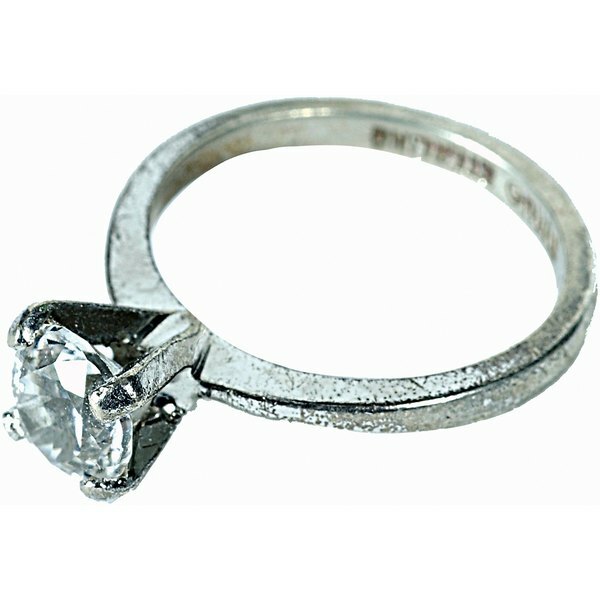 Dry your jewelry thoroughly after wearing it, as sweat causes jewelry to tarnish.